Hi, Welcome to Nana Claus! 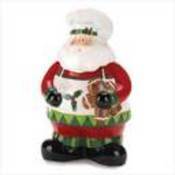 We specialize in Holiday decor and ornaments, with a focus on my favorite holiday Christmas. We also have a great selection of kids toys and gifts. We have two other booths, Nanastresures which features a large selection of home decor, gifts, collectibles, something for everyone!and Nanascloset which features a large selection of designer brand childrens clothing and accessories, including costumes. Customer satisfaction is rule # 1 here and we guarantee it! We will consider all reasonable offers. Thanks for visiting us. Please visit our other booths for more great deals. NanaClaus doesn't have any items in their booth!